Ifor Williams Small Domestic Trailer P5 model. 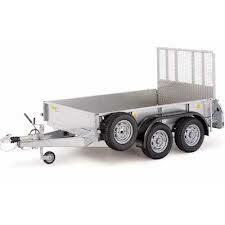 P5 trailers are fitted witha choice of ramp or tailboard as standard, with a tailboard or ramp model available, you can select your P5 to suit the job or activity. A ramp option is ideal for loading wheeled equipment such as lawn mowers or wheel barrows.